I voted to all 24 adorable pots from first and second pages with 5stars! WELCOME BACK - DEAR DION !!! 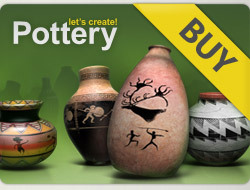 10X 5***** for your awesome pots - sweet DION !!!!! I wish you a magnificent day and a very happy weekend with your loved ones !! Just visited your wonderful gallery. 5*s x 38 beautiful creations.